Roaming Studio licenses are node-locked licenses, i.e. they are bound to a single customer's machine. They are perpetual (they do not expire). Annual support/maintenance cost is zero for the first year and 12% per annum for the subsequent years. Support/maintenance includes updates, bugfixes and support for new TAP/RAP/NRTRDE releases (e.g. TAP3.12). The latest up-to-date binary is freely available and is identical to the Trial Version which you can download from here. The trial version has simply certain features locked which can only be unlocked with the purchase of an activation key. 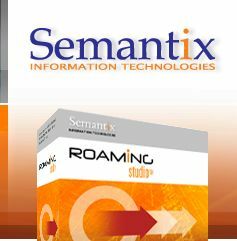 Therefore, to obtain Roaming Studio all you need to do is download the Trial Version from the link above, install it on one or more production machines and then purchase one or more activation keys. The node locked licenses, after activation, include limits to the number of concurrent runtime instances - so if you need to perform server-wide installs that are to be shared by many concurrent users, you must specifically request and purchase such activation keys enabling the right number of concurrent instances. Online by credit card, bank wire or PayPal: you can purchase one or more licenses from our online merchant (Share*it) using any of the supported methods. Please be sure to enter a valid email. Once you make the payment we will immediately provide you with the activation keys. Account Holder SEMANTIX INFORMATION TECHNOLOGIES S.A. Note that in all cases, prior to sending you the activation codes you'll have to send us (by email) the node-specific information - which is displayed on a dialog box every time you start the application. For more information see the Activating Roaming Studio guide. Finally note that since the licenses are node-locked, should you wish to transfer your license to another machine, you have to follow the procedure described in the Transferring Roaming Studio Licenses guide. In other words you shouldn't un-install the application or format your hard-drive without transferring the licenses first.